A friend called me yesterday, not knowing that it was my birthday. When I told him that it was and mentioned that I was 40 he choked in shock and said "My God, I thought you were 28 or at most 30!" 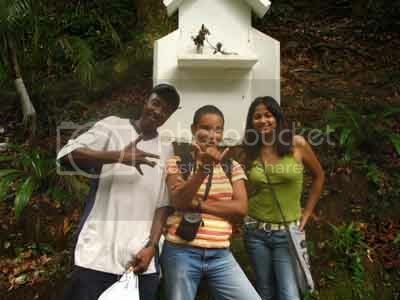 Photo: With two of the three friends who accompanied me into the forest in the mountains behind Mt. St. Benedict at 6 a.m. for a birthday breakfast picnic. My other friends don't (and won't) get up so early and therefore missed out on what turned out to be a magical few hours. The entire day, full of various things one after the other, was fantastic until the last drop (midnight). Spontaneous, simple and easy-going, I'd say it's been one of my best birthdays yet. Click here for a short video of the in-the-forest experience, edited to my version of the 'Happy Birthday' song (track #18 on my Moving Pictures CD). I only had my camera on me only in the morning, so only took shots in the forest. Here are a few.